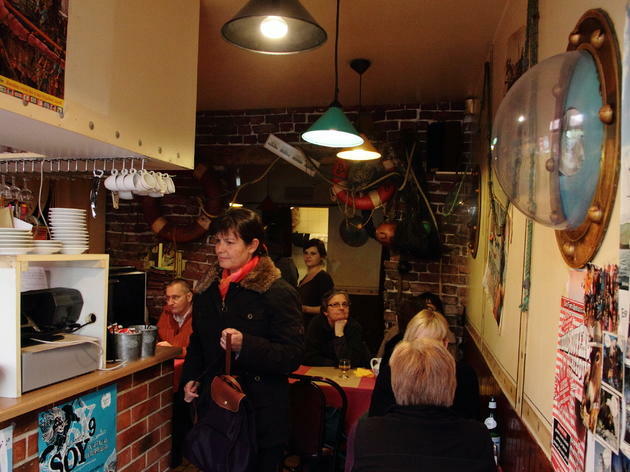 The area of Butte-aux-Cailles is becoming steadily more gentrified, but Des Crêpes et des Cailles (a caille is a quail) is holding steady, one of the last outposts of tradition in the neighbourhood. 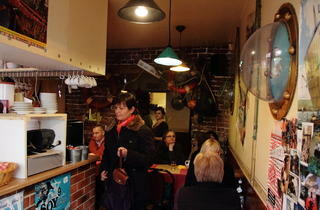 The tiny crêperie only seats 18, and looks like the boat cabin of an old Breton fisherman. You can’t reserve, but the friendly staff make up for any wait. There’s a choice of more or less classic galettes (savoury buckwheat crêpes) at €7, the most original of which is definitely the ‘Boudeuse’, served with boudin noir (blood sausage), curry and mustard, a nice change from the usual ‘Complète’ with ham, egg and cheese. The quality of the galettes can be a little uneven, but the sweet menu makes up for it. Overall, good prices, a warm welcome and a great cider menu add up to a venue that all Parisian crêperies should aspire to imitate.